The annual Tacoma Guitar Festival returns to the Tacoma Dome April 21-22 for an action-packed weekend where guitar and music enthusiasts come together to buy, sell, trade, listen and learn. This unique event gives you the chance to check out vendor booths, see live performances by iconic guitarist and learn about the latest and greatest musical products. 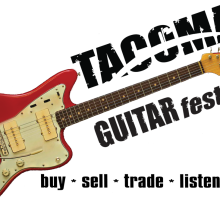 The Tacoma Guitar Festival features more than 150 exhibit style booths presented by some of the industry’s top vendors including Yamaha, Fender, The Guitar Store, Ted Brown Music and more. This event is truly a music junkies paradise. The Exhibition Hall will be filled with new, used and vintage guitars, amps, pedals, mandolins, ukuleles, vinyl records and guitar accessories. 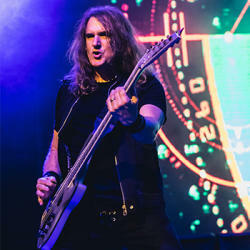 Iconic guitar players will perform on the Tacoma Dome stage including John 5 & The Creatures, David Ellefson from Megadeth, Paul Reed Smith, Trevor Gordon Hall, Will McFarlane, Carl Tosten and Daniel Walker. Each musician brings a different style and energy to the stage in an intimate setting. You can find a complete line-up on the Tacoma Dome website. Enter to win a brand new guitar! The Tacoma Guitar Festival is giving away a FREE PRS Guitar SE245 in Tobacco Sunburst signed by world renowned craftsman Paul Reed Smith. This will be the grand prize for the Enter to Win giveaway. Check out the booth in the lobby for more information and a chance to win! Additionally, Fender will be featuring their newest product, Fender Play. Fender Play is a software program that teaches individuals how to play guitar through easy to follow lessons. Test out the product and talk to experts about how you can learn to play or enhance your musical ability! Single day tickets are $15 and weekend passes are $25. Student discounts are available with a valid student ID at the Box Office and there will be free parking in Tacoma Dome lots, courtesy of the Tacoma Guitar Festival.